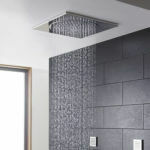 Delta Plumbing cover all types of bathroom installations for residential and commercial properties, our team can help you design, supply and carry out the installation from start to finish. Get a Fixed Price Quote today. for, from bespoke modern bathroom designs to beautiful rental design on a budget. We offer free surveys on all projects and issue free no obligation quotations. Our expert bathroom fitters and plumbers work to a high standard on all bathroom installations and we can deal with the entire refurbishment from start to finish. cost effective modern refurbishments for landlords. Give us a call today to book a free survey.